AMAZING BLUES perfectly describes this gorgeous new 2015 Lagoon 560 S2 cruising catamaran sailing in the Caribbean blue seas. She offers the best in high tech sailing innovation plus stylish and comfortable accommodations, with four fabulous and separate social areas so there is always choice of where best to enjoy the moment. Inside the spacious salon, find yourself surrounded by vertical windows offering 360-degree visibility and plenty of natural light. A large u-shaped lounge is the central social area and converts to an elegant space for formal indoor dining. The large galley has a convenient storage console that separates it from the salon. Open the large sliding doors and the living area flows outside to the spacious aft terrace. Here guests can relax under a large bimini that shades a table and seating for eight or more as Amazing Blues installed the larger aft dining table for maximum comfort. Up a spiral staircase from the main deck, the flybridge is a popular spot with guests. The helm is forward, surrounded by electric winches and all the necessary sail-control lines for the skipper. Aft, there are cushion-covered benches for sitting and lounging and a great sunbathing area, all separated from the sail maneuvers area. A canvas top helps protect everyone from the sun. The immense foredeck provides wonderful spaces for sunbathing on large comfortable pads, perfect for experiencing the thrill of being under sail on this amazing sailing yacht. Below deck, splendid staterooms which best accommodate eight guests in luxurious comfort. The aft starboard master cabin features a full walk-around bed, desk & sitting area, large ensuite bath, and access to both the aft terrace and main salon. The VIP cabin aft to port is entered through a companionway from the terrace, which provides a great deal of privacy. Two more queen cabins are forward, with a twin cabin amidship. Internet: UNLIMITED 4G fast Internet service, allowing emails, movies etc. AMAZING BLUES has luxurious accommodations for 8 guests in 4 cabins all with ensuite shower and toilet facilities. Send us an inquiry to get specific pricing for Amazing Blues. 9-16 April, 2017 ~ Special Beyond Belief! What was your first impression of the yacht? = Beautiful. Clean. lounging on the hammocks and the wonderful seating area. YES!! John and Shirelle were fantastic. and Shirelle wre welcoming and respectful of our space on the boat. Over the week we developed a very good relationship with them. They are both great at what they do and make you feel comfortable and relaxed. 9-16th March, 2017 ~ Perfect!! Thank you for an amazing week on Amazing Blues. You met the challenge of our arrival in the incredibly unusual weather with much appreciated enthusiasm, we certainly hope you never have to dig out the red raincoat again, ever! We loved the boat, everything was perfect! Shirelle wowed us with one fantastic meal after another and was so kind to share her recipes with us! Hopefully we can recreate them, if not, well just have to come back! We enjoyed all the food sooooo much we couldnt fit in another bite by the end of the trip The birthday dinner was a huge success. We loved the adventures on the rolling seas, beautiful beaches and of course the eternal fishing in hope of catching more than a snack! The entire trip was perfect, everything was well thought out and executed perfectly. Our nightly briefings on the next days excursion was fun ~ even though none of us could remember exactly what the plan was in the morning. We loved, loved, loved this trip and will do it again! December 19 - 26, 2016 ~ BVI ~ Remarkable!! We chartered the Amazing Blues catamaran in Dec 2016 and had the most wonderful time! If you can, charter Amazing Blues and be prepared for the most fantastic captain and first mate/chef, John and Shirelle. I almost cried when we had to leave...that´s how awesome they were. We have A LOT of food sensitivities/health issues in the family and Shirelle bent over backwards to make sure everyone stayed healthy and incredibly well fed. Remarkable feat! September 18-25, 2016 ~ Virgin Islands ~ Perfect! Crew was very friendly and accommodating. We could tell they truly enjoy hospitality. I would highly recommend Captain Will and Chef Kenetha, Amazing Blues is a fabulous vessel and this was probably the best charter ever. The crew took great care of us and was highly professional. 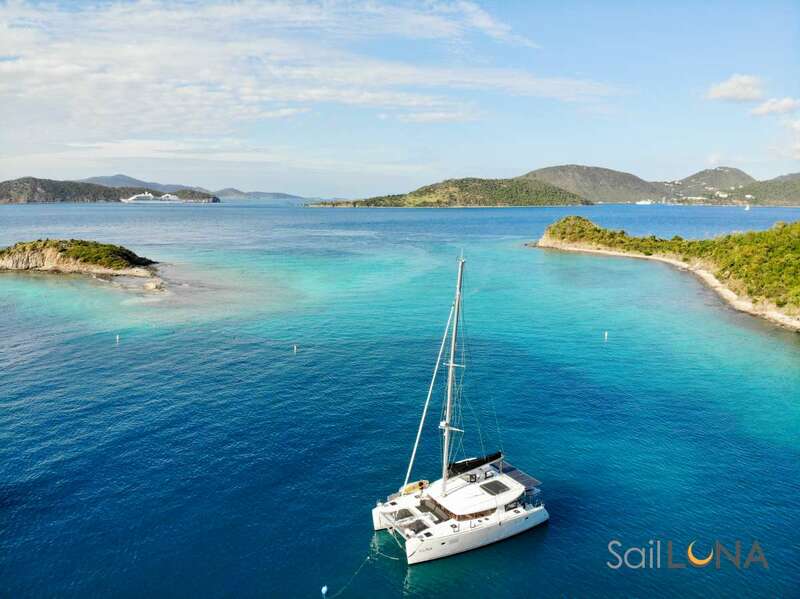 August 6-13, 2016 Amazing BVI! Amazing week with an amazing captain! Will was awesome and attended to our every need. The water sports, visits to islands, food and boat was wonderful! Rene worked to accommodate us with all meals Delicious!! We will be back! Heres to tall ships. Heres to small ships. Heres to all the ships on the sea. But the BEST ships are friendships! Thanks Will & Rene for a GREAT week! July 15 - 22, 2016 - Amazing! It was very interesting all the places that Will took us and it was very nice. The food was excellent, very colorful and it was so very tasty. We got to celebrate Wills birthday with a cake that was delicious! The crew was the BEST, and this ship is amazing because of Will & Billy! We shared many fun days and saw many gorgeous places. Thank you all very much for the excellent adventure. You made it wonderful, as was the food and the memories. We will be back next year!! June 5 - 11, 2016 - Complete Satisfaction! I just wanted to send a short note relaying our satisfaction with the catamaran charter we undertook last week. Satisfaction is an understatement, we thoroughly enjoyed ourselves. The boat was fantastic, we appreciated the fine furnishing, spacious ( for a boat) rooms, ample seating area and comforts on board. Will, the captain was really great for our group. He interacted fantastically with our varied group (children, young adults and my husband and I), always providing great ideas be it sailing, snorkeling, water sports or island activities. His knowledge of the area was very enlightening and we thoroughly enjoyed having him as our captain. Sher was our last minute chef and worked out great also. John and I dine out considerable in fine restaurants all over the world and we were very impressed with her culinary skills, she also was extremely gracious in accommodating my unusual diet and the children´s finicky diets. Againwe want to convey our appreciation for the fine work everyone did to make our family vacation so special. An awesome experience. The crew could not have been more accommodating. Had the time of our lives, fantastic crew. Going home with lots of memories. March 2016 - BVI - Loved Every Minute! The food, drinks, service,leisure activities and overall experience were all excellent! Many grateful thanks to Captain Will and Rene. Bravo!! We love Amazing Blues and will have the blues when we leave. Captain Will and Rene are perfect! Thank you for taking such good care of us! We had a lovely time and loved every minute of it! March 6-11, 2016 - Fun times! Pick up at the west end, meet and greet and off to Norman Island! Snorkeling and swimming, lots of fish! The Privateer Bay Caves were awesome! Every meal was 5 star, thank you Chef Rene! Your hard work was greatly appreciated! Captain Will & Rene made our week perfect! Island adventures on Virgin Gorda; a hike to the baths and the cab ride was fun (chickens, goats, giant boulders!) Anegada Island never disappoints! Lovely bay, and dinner on the beach with everyone was a great way to end the day. Too many fun times to list them all! Amazing Blues was the best week! Thank you to Captain Will and Rene!! Will and Rene were fabulous. Very friendly, accommodating and willing to customize our trip at any point. Food was great. Both crew members can cook and they were very willing to customize. All in all our family had the trip of a lifetime. ALL BREAKFAST ACCOMPANIED WITH COFFEE, ORANGE JUICE, CEREAL, BREAD, FRUIT PLATTER, CHEESE, JAM, YOGURTS. MAIN: SOLE AND SALMON FISH ROLLS, SAUTEED VEG, GARLIC POTATOES, LEAFY SALAD. LUNCH: WEST INDIAN MEAT PIE, SERVED WITH MANGO CHUTNEY AND BANANA SALSA. MAIN: SHRIMP TAGLIATELLE PASTA, MEDITERRANEAN SALAD AND HOME MADE GARLIC BREAD. BREAKFAST: EGG FLORENTINE AND BACON. LUNCH: SEARED TUNA NICOISE SALAD. MAIN: SPICED BBQ PORK TENDERLOIN, SWEET POTATO´S AND APPLES HONEY GLAZED, CALYPSO SALAD. BREAKFAST: BANANA BREAD, SERVED WITH SCRAMBLED EGGS AND CHEESE PLATTER. LUNCH: SWEET AND SOUR RIBS, CORN PUREE AND REFRESHING COLESLAW SALAD. MAIN: SWEET AND SPICY GRILLED MAHI-MAHI, FRIED PLANTAINS , COCONUT RICE AND AVOCADO ORANGE SALAD. BREAKFAST: LEEK AND CHERRY TOMATO FRITTATA, SERVED WITH BBQ SAUSAGES. LUNCH: GRILLED PINEAPPLE CHICKEN SALAD. SNACKS: OLIVE TAPENADE SERVED WITH CRACKERS AND GOAT CHEESE. MAIN: RED WINE HERB STEAK, POTATO ZUCCHINI GRATIN, CRANBERRY WALNUT SALAD. BREAKFAST: CLASSIC FRENCH TOAST SERVED WITH SCRAMBLED EGGS AND CHEESE PLATTER. MAIN: CHICKEN IN BUTTERED MUSHROOM SAUCE, COUSCOUS AND ROASTED ANTIPASTI. BREAKFAST: EGG PORTHOLES SERVED WITH BACON. LUNCH: CALICO TACO BOWLS, SERVE WITH GUACAMOLE, SOUR CREAM, SALSA AND MEXICAN SALAD. SNACK: CHEESE AND MEAT PLATTER. STARTER: BACON AND AVOCADO EGG ROLLS. MAIN: ASIAN SALMON SKEWERS, PESTO RICE NOODLE WITH STIR FRY AND PINEAPPLE SALSA SALAD.